The Chain Reaction Collar from Ruffwear is a half cinch dog collar for safety on walks. 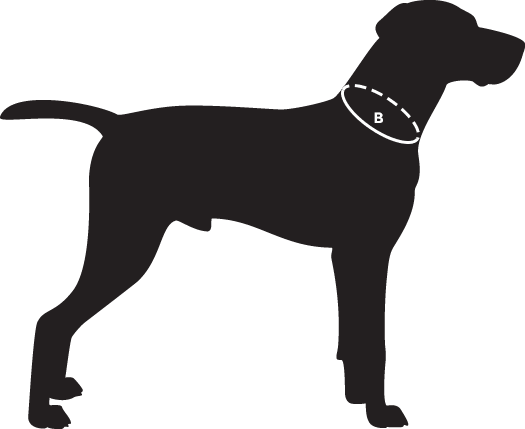 Because the chain acts to tighten if the dog pulls then the collar can never be slipped over the dog’s head. This is useful for pets who have learned that pulling back can lead to slipping free of the collar.In addition the sound of a chain and a controlled cinch result can deter the dog from pulling on the leash.With the design and quality that we have come to expect from any Ruffwear item The Chain Reaction Collar is sturdy, safe, and reflective for low light visibility and added safety on dark walks. The lead attachment ring is a single piece anodized aluminium V ring and is completely separate to the silicone enhanced low jingle tag ring. Despite being a good deterrent from pulling on the leash the Chain Reaction dog collar should not replace positive dog training methods but enhance them with the extra safety precaution that it provides.